Homeowners in most of the country don’t really know what it’s like to live in a consistently hot climate. People living in states such as California, Arizona and Texas must consider the elevated temperatures their home endures and make plans to protect it accordingly. This goes for grout, too. If you’re facing tile grouting or tile regrouting, and you live in a hot climate, there are a few steps you should take to protect your grout product and to properly install the material on your floor or wall. If you’re worried about tile regrouting or grout resealing, don’t do it yourself. Trust the experts at The Grout Medic for cleaning grout and more. Overall, you want grout to be cool when you apply it to the tile. Leaving grout out in the sun or another too-hot location will cause it to heat up. Because it’s made of sand and stone — material that holds heat — hot grout takes a long time to cool down. Whether it’s powdered or premixed, store grout ideally in a basement, garage or a climate-controlled area. In very sunny regions, such as those served by The Grout Medic of West Palm Beach, Florida, this can be a problem. Daily temperatures are coolest in the morning and the evening, and you should take advantage of those times to mix your grout. Mixing grout during hotter parts of the day will result in improper application. Experts at The Grout Medic of Sacramento deal with this type of heat every day. 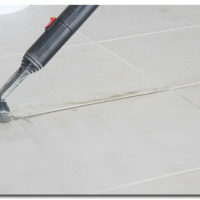 If you’re in a particularly dry climate, don’t add water to the grout in an attempt to create a more workable mixture. Adding water will weaken the grout and could result in efflorescence, an effect that causes an unsightly white film to develop. 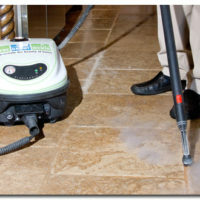 The expert technicians at The Grout Medic of San Antonio, Texas, deal with dry conditions daily. It gets especially hot in the southern U.S., something they know well at The Grout Medic of Columbia, South Carolina. Before applying grout to hot tile, use cold, clean water to cool it down. Porous tile that is too warm will pull moisture too quickly from the grout, increasing the potential for future cracking. Once the grout is applied, aid in the curing process by placing Kraft paper over it for 72 hours to keep the grout moist. Or, if you leave it uncovered, periodically mist the grout so that it doesn’t dry out too quickly. No one knows grout the way we do at The Grout Medic, and our local grout and tile technicians understand how their climate affects installation. Find your local office of The Grout Medic or contact us for a free estimate on your regrouting services at 1-866-994-7688.